That lid is there for a reason! I think it’s safe to say that this is about to be the grossest thing you’ll read all day. However, it’s probably one of the most important reads as well. Why? Because if you don’t close that toilet lid when you flush, a lot of unfriendly bacteria is going to spray all over your bathroom. And no, this is not a joke. Pro tip: Leaking toilets aren’t sanitary as well, so here’s how to fix it. 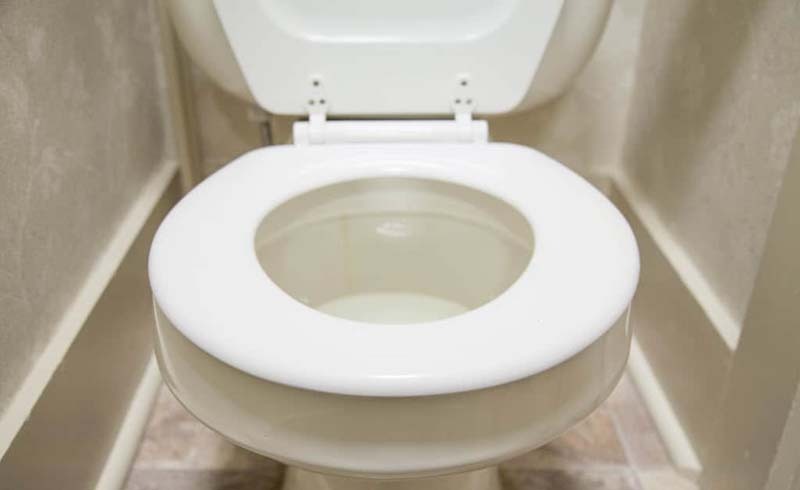 According to a 2013 review of studies published by the American Journal of Infection Control, it’s clear that flushing your toilet with the lid wide open can threaten potential risks. The specific act is called “toilet plume aerosols,” which occurs during flushing. When the toilet contains feces or vomit, the flush can produce potentially infectious aerosols that will live in your bathroom for hours. Now keeping your bathroom clean isn’t a new idea, especially since bacteria can easily contaminate toilet seats, lids, surrounding floors or any nearby surfaces. But flushing your toilet probably isn’t in your immediate list of disease-ridden activities. If anything, flushing the toilet feels like a clean activity. Here are the specifics: When you flush the toilet, some fraction of the aerosol droplets produced while flushing could contain microbes. Microbes come from infectious diseases from whatever is in that toilet bowl. Vomit and feces can contain high pathogen concentrations such as Shigella, Salmonella, and even norovirus. These pathogens can actually survive on surfaces for weeks or even months. So for future reference, you may want to start closing the lid when you flush. Especially if that toilet is anywhere close to your toothbrush.